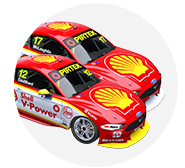 Scott McLaughlin will start his quest to win the 2017 Virgin Australia Supercars Championship from pole position in the final race of the Coates Hire Newcastle 500. The Shell V-Power Racing Ford driver topped the ARMOR ALL Top 10 Shootout to set his new record for most pole positions in a single season at 16. Able to secure the title this afternoon by finishing anywhere in the top 11, McLaughlin’s title rival Jamie Whincup will start fifth. 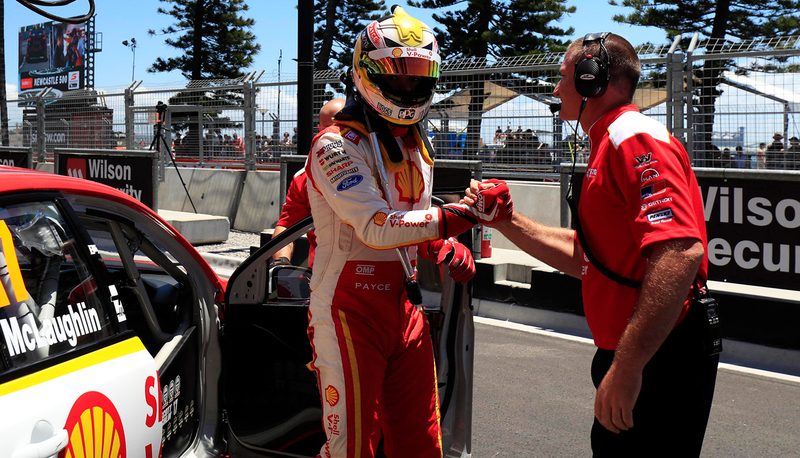 “It’s an amazing achievement by the team, they’ve given me an unbelievable car and to do it in the Shootout again is fantastic,” said McLaughlin. “There’s one more race to go. We’re sitting OK at the moment. I’ve got to get the thing off the line and we’ll be ok.
McLaughlin was up by three tenths on erstwhile leader Whincup in the first sector alone, with his 1:10.5212s ultimately 0.3453 seconds clear of his pursuer. David Reynolds then slotted into second with a 1:10.6766s, losing three tenths in the first sector on McLaughlin with a moment at Turn 1, but recovering half of that deficit across the balance of the lap. Setting the fastest middle sector of the Shootout, Shane van Gisbergen was second last out and wound up as McLaughlin’s closest challenger, just 0.0290s behind. Fifth in the sequence, Whincup was the first driver to dip below the 1:11s barrier in his Red Bull Holden Racing Team Commodore, with a 1:10.8665s and remained where he finished regular qualifying. Reynolds and provisional polesitter Mark Winterbottom will share the second row of the grid at the new street circuit. Rick Kelly wound up as the best of the three Nissans in the Shootout in sixth, just ahead of team-mate Michael Caruso. The first of the 10 cars on track, Fabian Coulthard had a big right-front lock-up into Turn 1 on his flying lap, a 1:11.0175s. He still gained two places, though, including getting ahead of the Prodrive Ford of Chaz Mostert, who ran slightly wide out of Turn 8. “We got a bit greedy in qualifying so we had to run a used set of tyres,” said Mostert. “We’re making progress with the car but I still think we’re a little way from where we need to be with some of our competitors. 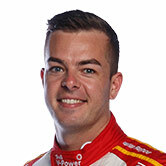 Contesting his last Supercars race, as a full-time driver at least, Todd Kelly finished at the base of the times with “a pretty loose lap”. Kelly ran wide at Turn 2 and locked the rear brakes at Turn 11, and will start 10th. The final race of the 2017 Virgin Australia Supercars Championship starts at 3:40pm.